Forty million visitors strolled through the exhibits at the 1933 Chicago World's Fair exploring the exposition's theme: A Century of Progress. Near the popular reproduction of Fort Dearborn stood a small, non-descript log cabin that generated a great deal of interest and discussion. 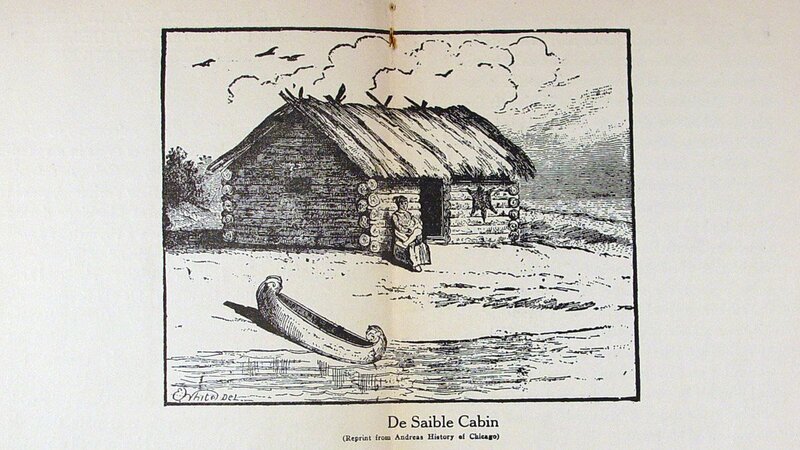 The cabin was a replica of the home of Chicago's first settler, Jean Baptiste Point DuSable. Visitors expressed amazement, disbelief, and anger that the towering city of Chicago traced its beginnings to a black man. 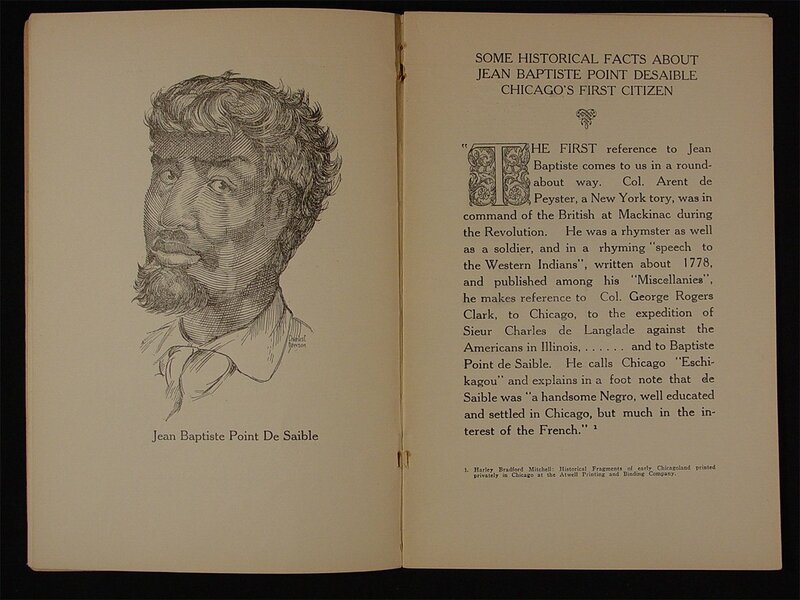 DuSable, the son of an African slave and Frenchman, built a prosperous trading post and farm on the banks of the Chicago River where he lived with his Potawatomie wife and two children between approximately 1779 and 1800. The exhibit suggested that both DuSable's choice of location for a homestead and his entrepreneurial success set in motion Chicago's future as a leading commercial center. 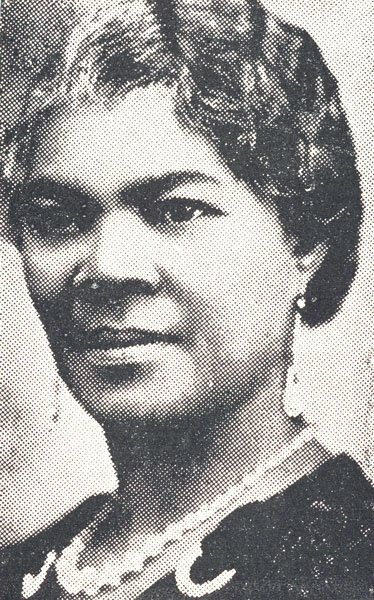 The replica of DuSable's cabin was erected under stewardship of Annie E. Oliver, an African-American educator and beauty culturist, with the support of the African-American women of the De Saible Memorial Society, as it was then known. The clubwomen worked tirelessly, for five years, to build the cabin. They overcame blatant discrimination by fair officials and the hardship of the Great Depression to finally complete the project. The replica of DuSable's cabin stood 8 feet by 12 feet, though sales records from 1800 indicate the actual structure was three times larger. The look of the cabin was based on an 1884 engraving in A. T. Andreas' History of Chicago. The De Saible Society's exhibit was lauded for illuminating the black community's distinctive heritage, and instilling racial pride through demonstrating the significant achievement and progression of African Americans. Marie Smith describes the unwavering determination of her aunt, Annie Oliver, and the women of the DeSaible Memorial Society.